Thing steps in with two spectacular songs for his debut release on Stepping Forward. “Dutty Yo” brings a straightforward, no-funny-business beat spiced with subtle percussion and dub-inspired fills. Supplementing the step is a heavy dose of sub bass, perfectly placed pads and flowing atmospheric bits that craft the tune into a sparse but intriguing piece of ear candy. 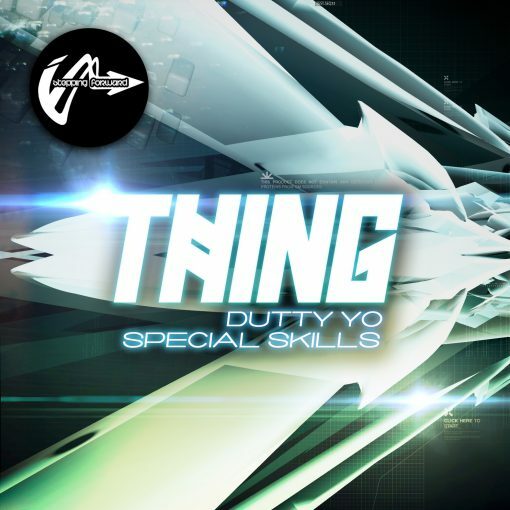 To offset the vibes of Dutty Yo, “Special Skills” is a thoughtful double-time number chock full of morphing flowing pads, effects, and atmospheres. The mixture compliments a rolling, fluctuating bassline, and some simple yet clever snare work. Thing brings a new flavor to Stepping Forward and were excited to drop it on your ears as part of the 2012 style switch up!